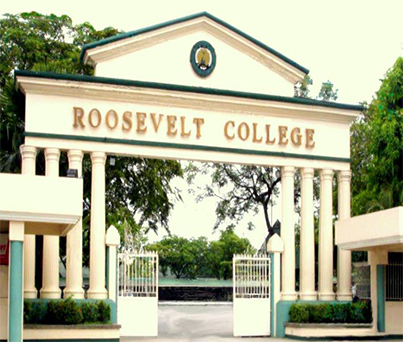 Roosevelt College, Inc., (RCI) is a respected pioneer in tertiary and basic education in eastern Metro Manila and the Province of Rizal. In 1933, the institution was established as Marikina Academy by Marikina Mayor Wenceslao C. dela Paz (d. 1944) as a non-sectarian, private, secondary school in Marikina, Rizal. The Academy closed after the death of its founder in 1944. In 1946, the Roosevelt Memorial High School (RMHS), named in honor of the American president Franklin D. Roosevelt, in appreciation of his role in supporting the Philippines during World War II, opened in the same location as Marikina Academy. Engr. Deogracias F. dela Paz became chairman and president of the newly formed corporation that operated the school. Thirty years of growth followed during which many of the RHMS campuses were established and, with the opening of elementary courses, they were renamed Roosevelt College. College courses and postgraduate courses were also opened. With the demise of Engr. Deogracias F. dela Paz in 1977, Feliza M. dela Paz became acting president until Romeo P. dela Paz took over as President in 1979. A new era of Roosevelt schools began with the investment in new infrastructure and facilities in seven campuses. Significant innovations were introduced in the educational programs and upgrading of the educational delivery system took place. Entering the 21st century, with wisdom gleaned from the past, the school remained committed to the vision of pursuing academic excellence while holding the members of the academic community accountable to the learners and to each other. In 2016, RCI became a member of the Far Eastern University (FEU) group of schools and FEU President Michael M. Alba took over concurrently as the new RCI president. Under new management, the school remains dedicated to the pursuit of providing high-quality education to all Roosevelt students. RCI reaffirms its commitment to academic excellence by strengthening its instruction, research, faculty development, and improving its facilities. The institution will continue to introduce innovative approaches to improve all educational programs. Offering basic education across five campuses in Cainta, Cubao, Marikina, Rodriguez, and San Mateo, and tertiary education in Cainta campus, RCI envisions a productive and responsible citizenry empowered through education. Promoting the values of resiliency, competence, and integrity, RCI endeavors to provide an education that will help Rooseveltians become engaged members of the community, the country, and the world.